Though maintenance on our finished tee lines is minimal in comparison to that of real grass lines, synthetic turf tee lines do require some maintenance to keep it looking great and performing to the highest standards. Our experience and expertise in the installation of synthetic turf amenities, including tee lines, has enabled us to offer products that provide a surface that mirrors the playability, look and feel of real grass. 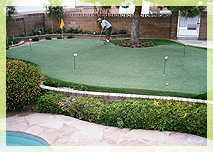 "Swing'" by and see for yourself why these synthetic turf tee lines are becoming more popular. 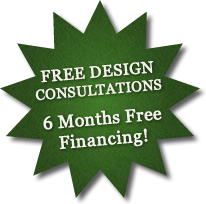 For more information, please contact us at 480-664-9417 or click here to email us.